Since you can’t exactly burn 1000 paper cranes twice (unless you have 2000 paper cranes). 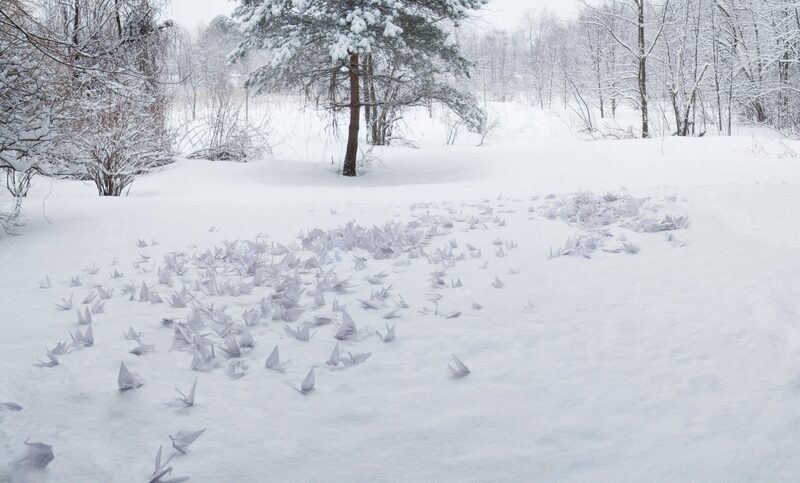 I made different compositions of the cranes blending with the snow. This is one of the configurations I made prior to starting the fire. This image was compiled from three separate images in order to fit all thousand cranes in the frame. This image is currently available as a fine art print in my Art Shop.